Trained senior volunteers provide free and confidential one-to-one support to help meet life’s challenges. The volunteer counsellors provide compassionate listening and encouragement to help people get more in touch with their own feelings, gain a clearer understanding of their situations and difficulties, and make the decisions necessary to solve their own problems. Counselling meetings can take place at your home or at the Seniors Wellness Program office in Ganges. 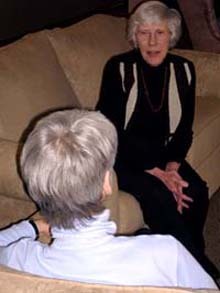 Volunteers are an important part of the Senior Peer Counselling program. By volunteering your time you are part of a community initiative to increase access to these supports by building community capacity and helping to reduce isolation and vulnerability for the seniors in our community. Volunteers complete a lay counselling training course and are supported by experienced clinical counsellors. To find out more about the Senior Peer Counselling program please contact the SSI Community Services Seniors Wellness office at 250-537-4607 or 129 Hereford Avenue in Ganges. Office hours are 10 am to 2 pm Monday to Friday.